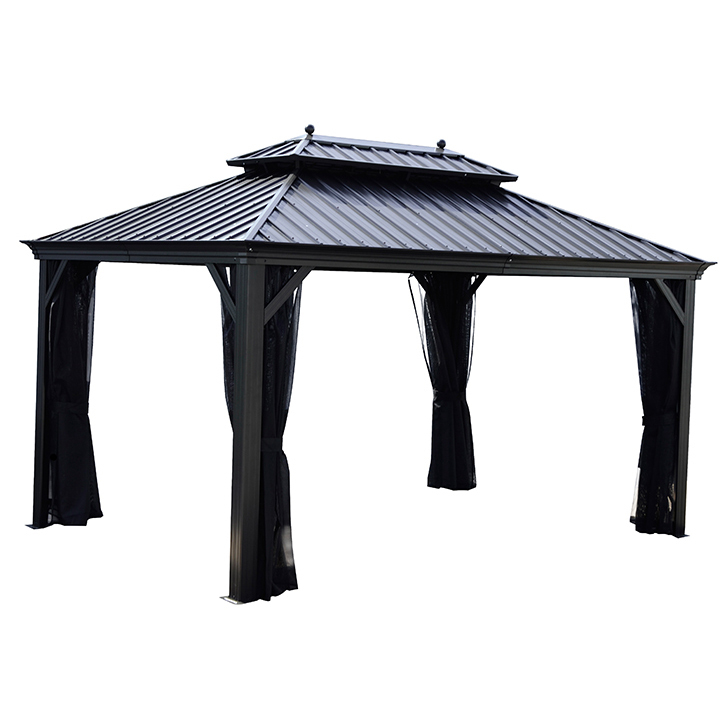 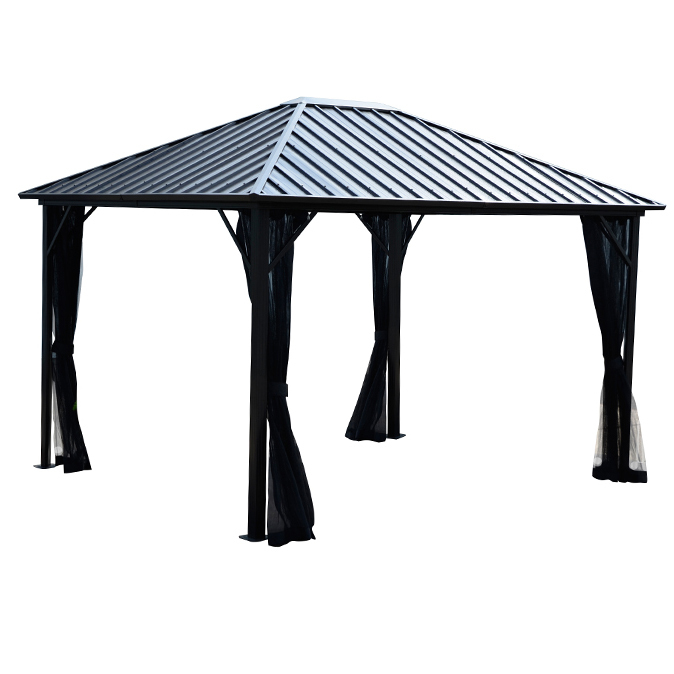 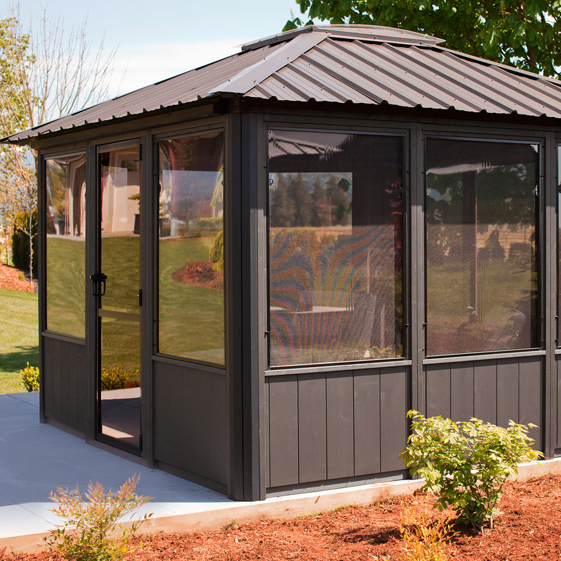 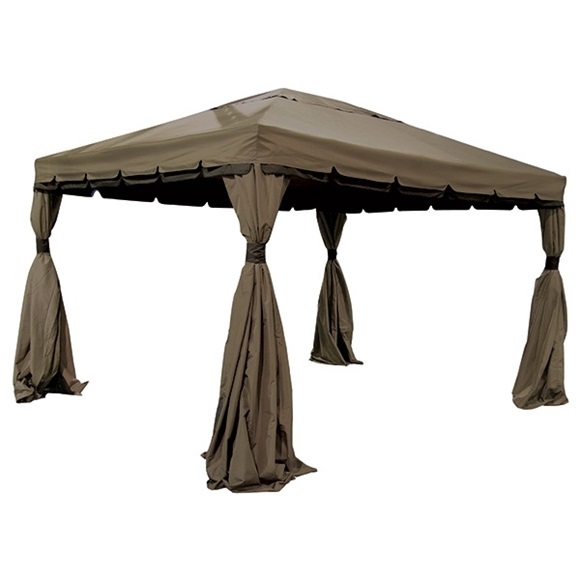 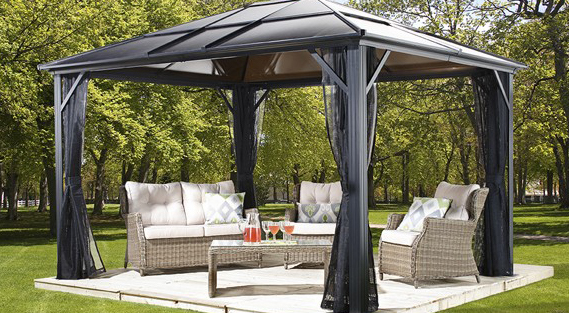 The Altitude Gazebo is one of the most unique and desirable gazebos we offer. 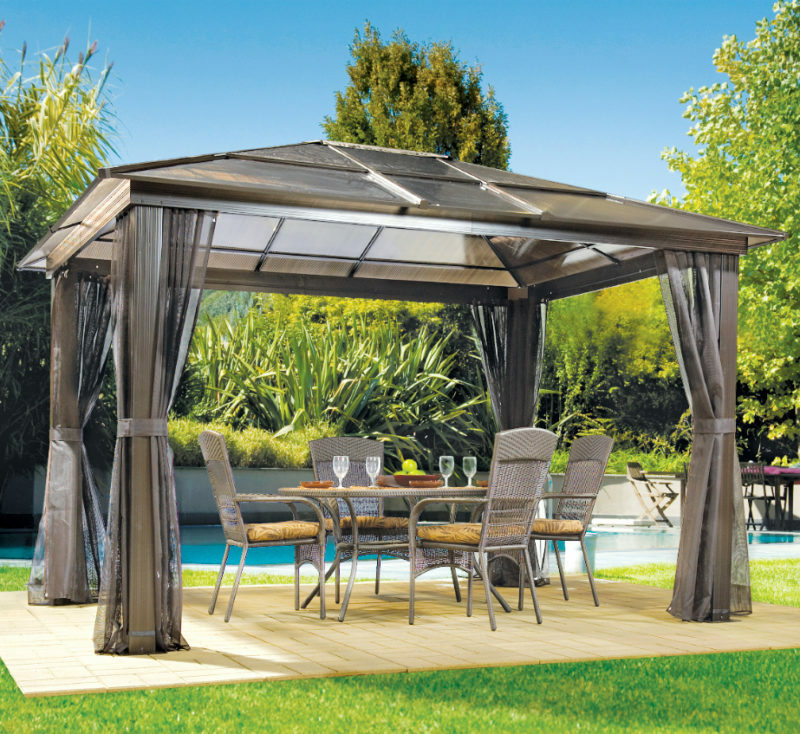 This elegant and modern four-season shelter provides the shade you need during a hot summers day. 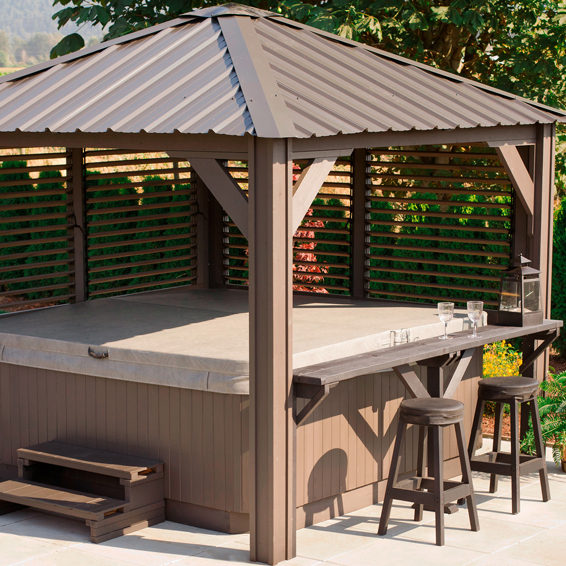 This cozy outdoor retreat is more of an extension of your home than an actual gazebo. 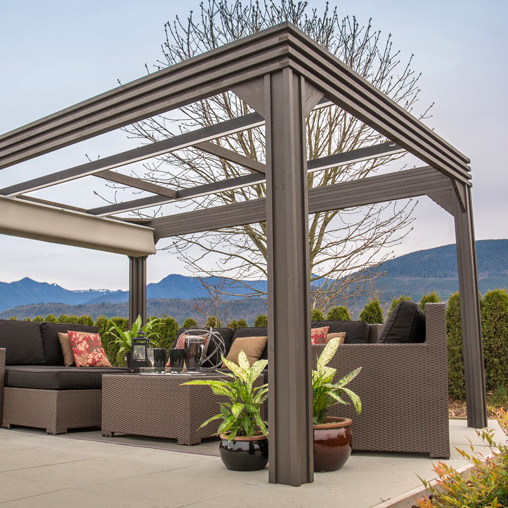 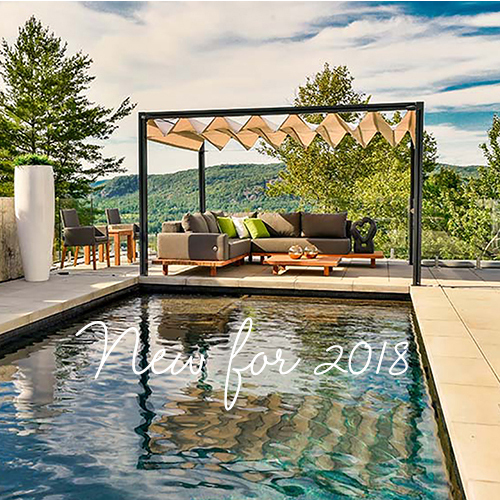 Engineered with aluminum and steel for ultimate durability and resilience to all season weather, the Altitude Gazebo features triangle posts that support the frame allowing you to keep your thoughts on what matters most – topping off your next round of drinks. 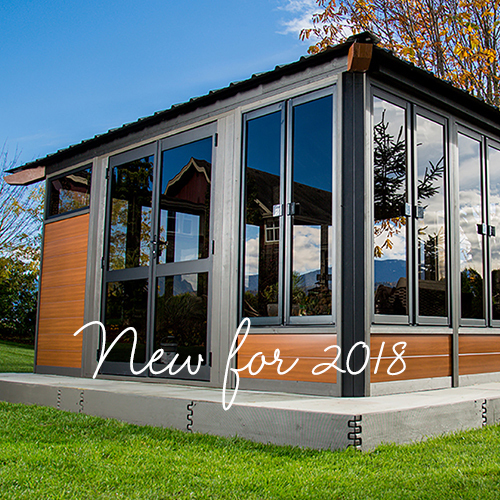 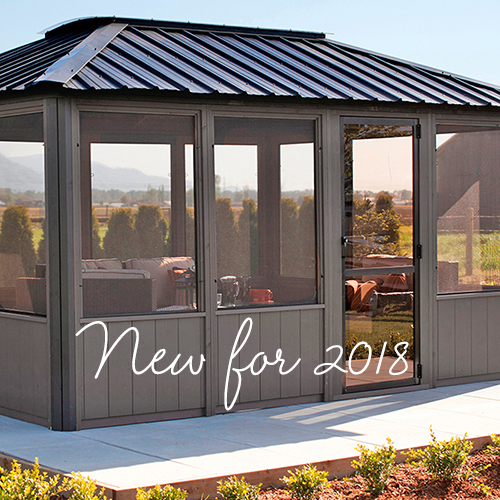 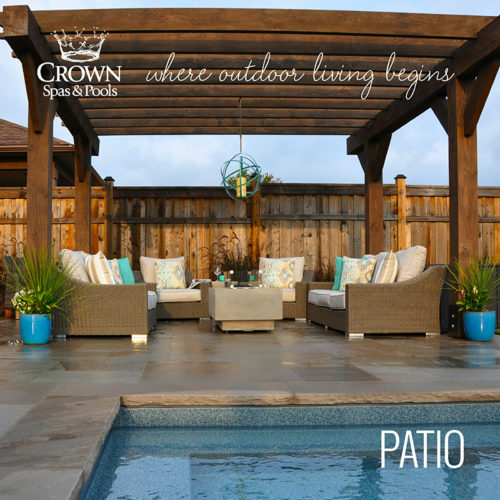 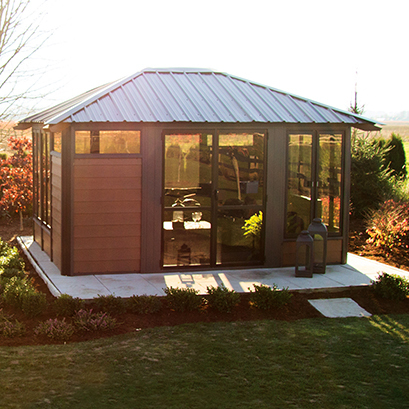 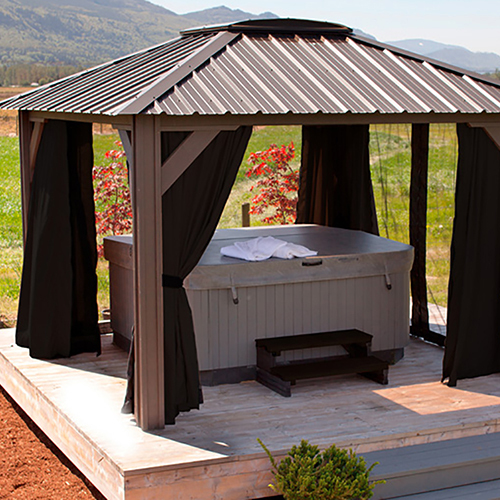 Available in various sizes so you can find the perfect size to complete your backyard retreat.